Greenville Fire District joined other fire departments in the area learning how to deploy Personal Rescue Systems. This rope system and descent device enable a firefighter to exit a building if in danger. 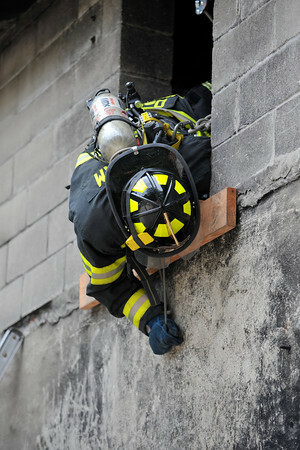 These photos were taken at Scarsdale Fire Department's Training Center in October 2009.